including the “dark night of the soul” we all go through in life. understanding of what it means to be fully human and fully divine! 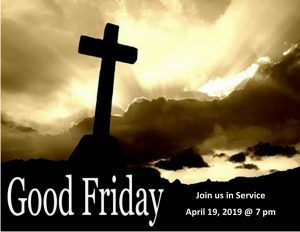 Join us on Friday, April 19, at 7 pm for Good Friday Observance.